The U.S. Commodity Futures Trading Commission (CFTC) today announced that it obtained a federal court order against Defendant Michael Gale of Littleton, Colorado, individually and doing business as Capital Management Group, requiring him to pay $479,402.35 in restitution to defrauded customers. The Consent Order of Permanent Injunction, entered on June 25, 2013, by Senior U.S. District Judge John L. Kane of the District of Colorado, also imposes a $750,000 civil monetary penalty. The Order imposes permanent trading and registration bans against Gale and prohibits him from violating the anti-fraud provisions of the Commodity Exchange Act (CEA), as charged. 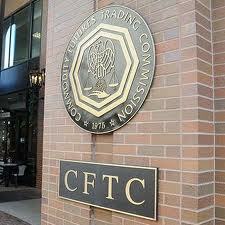 According to the CFTC, the order stems from a CFTC Complaint filed July 25, 2012, that charged Mr. Gale with fraudulently operating a commodity futures pool, making false statements and providing false tax records to prospective and actual pool participants, misappropriation of pool funds, commingling of pool funds, and failing to register with the CFTC as a commodity pool operator. The order finds that Gale solicited and accepted approximately $900,000 from at least nine participants to invest in his commodity pool. Gale lied about his trading record and the pool’s profitability and value, and rather than trade the pool participants’ funds, Gale deposited only a fraction of the funds into an account for trading, and used much of the pool participant money to pay his business and personal expenses, according to the CFTC’s case. In order to perpetuate the fraud, Mr. Gale continued to represent that investments in his pool were profitable and distributed false account performance documentation and false tax records to actual and prospective pool participants, according to the Order. In fact, the Order finds, Gale knew the representations were false because he knew his trading was not profitable and that he had misappropriated significant portions of the pool’s money.